Remarque: Votre demande sera envoyée directement à CSUN Solar International Limited. On grid solar system is a renewable energy system, which can transfer solar energy into electricity and inject it to power grid. The energy generated from solar system will offset the energy customer used from power grid, so as to help reduce cost of monthly electricity bill, and enjoy life with clean energy. CSUNPOWER is a joint venture company formed by a union of prominent Chinese photovoltaic manufacturing entrepreneurs. The company focuses on global clean energy development, solutions, investment and financing, energy management and electricity distribution business. CSUNPOWER utilizes the strength in PV manufacturing, supply chain, and technology to form a highly reputable international energy solutions provider. 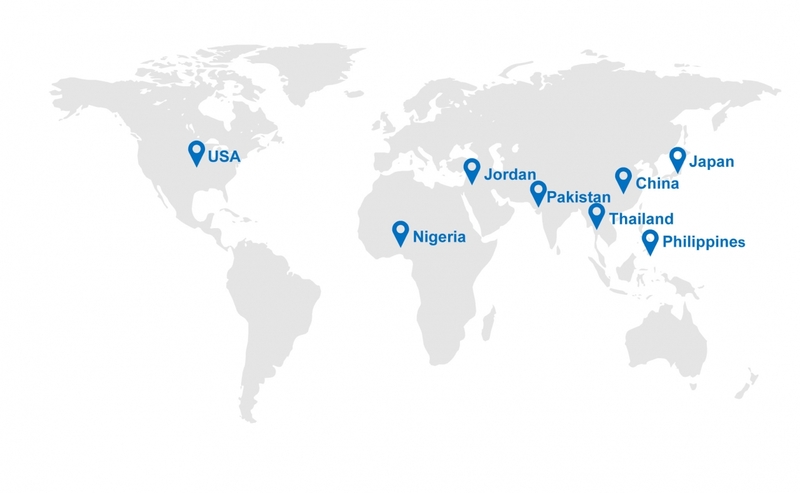 CSUNPOWER has set up branches in United States, Japan, Philippines, Pakistan, Thailand, and the area of Middle East, forms a professional team to provide services to the local market, and realize the entrepreneurial strategy of "Globalized Partners, Local Professional Services". We devote ourselves to providing the best quality and efficient one-stop service for our global customers. CSUNPOWER has a professional management team, adhering to the business philosophy of "efficient, professional, practical, and low-cost". We have many years of experience in the area of project development, design, engineering, research and development, project management, investment and financing, supply chain management, control, and project implementation & delivery, which we have received many compliments from our business partners.